With the iconic navy and light blue colours in a unique stripe design, this polo makes a bold fashion statement and clearly shows your allegiance to the mighty Blues. Canterbury’s Vintage Yarn Dye Polo is a stylish and versatile wardrobe addition that every NSW supporter will be proud to call their own. An engineered stripe polo with contrast sleeves, rib knit collar and button through placket, this iconic polo is navy and light blue in design and has embroidered Blues team and sponsor logos at the chest. 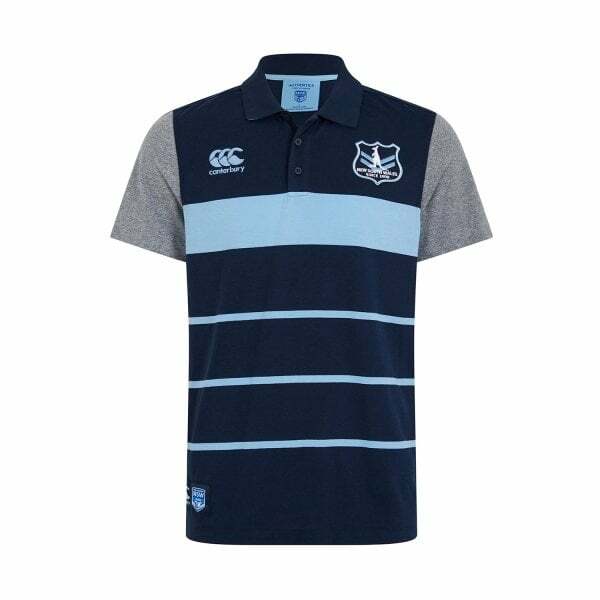 Made with 60% Cotton and 40% Polyester Yarn Dye Single Jersey 160gsm, this is a quality garment that will last you through many a Blues State of Origin victory. Secure yours now for the 2019 season from the exclusive NSW Supporters collection at Canterbury.